A brochure is a descriptive piece of literature used for promoting your business or organization. It is one of the most important and fundamental components of marketing literature for businesses and organizations. Typically the first item produced after the letterhead, envelopes, and business cards, its purpose is to put a targeted message in the hands of prospects that is portable, easy to store, and easily passed on to others. 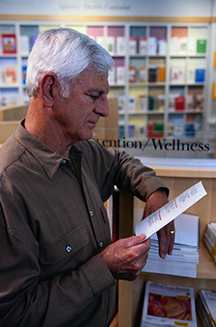 A printed brochure is an integral part of the sales process. It serves as a leave-behind after a sales call or meeting with prospective customers. It is also used as a way to respond to inquiries or to introduce new products or services when cold calling. As part of a direct mail campaign, it can be sent with a sales letter or used as a self-mailer. And finally, a brochure can be a point-of-purchase display to interest customers in additional products or services or to provide information.